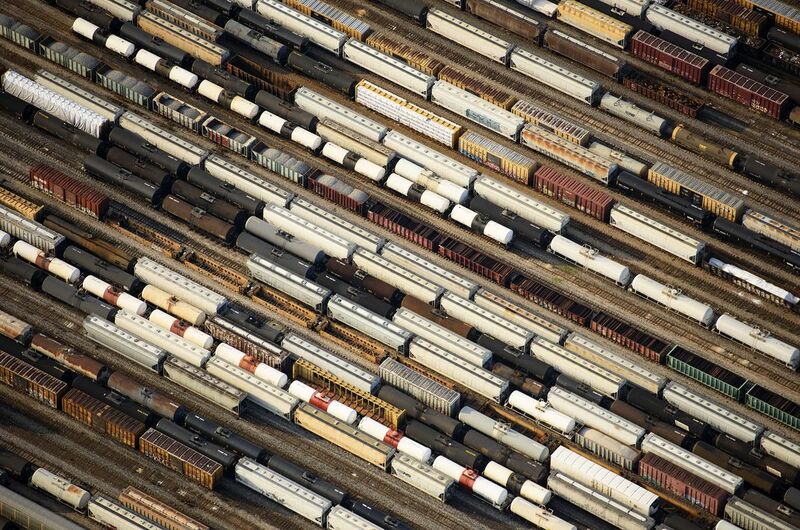 This is an enormous and very colorful train depot - Houston, Texas. Aerial Image. Date Uploaded: June 9, 2016, 2:31 a.m.